As 2016 marks the ninth edition of Liverpool Biennial, the UK’s largest contemporary art festival, Getintothis’ Cath Bore picks out the best bits to look out for this summer. 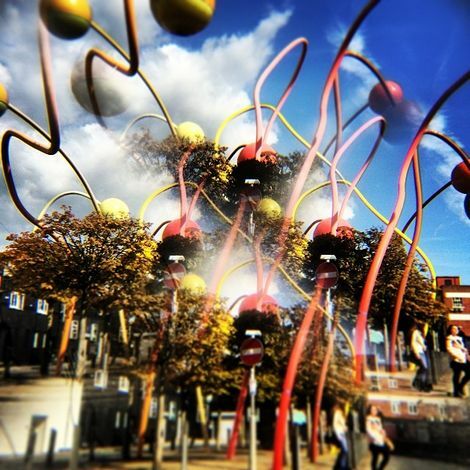 From July, Liverpool Biennial 2016 will unfold throughout the city. Set out like a story over a number of episodes, fictional worlds are to be created in galleries and museums but also in unconventional spaces, pubs, stations, hotels, parking lots, shops and supermarkets..
Japanese artist Koki Tanaka was inspired upon hearing about the 1985 demonstration at which 10,000 Liverpool schoolchildren skipped school to protest against the Conservative government’s controversial Youth Training Scheme (YTS). The YTS proved to be the Workfare of its time, providing cheap labour to businesses with no guarantee of a job at the end. 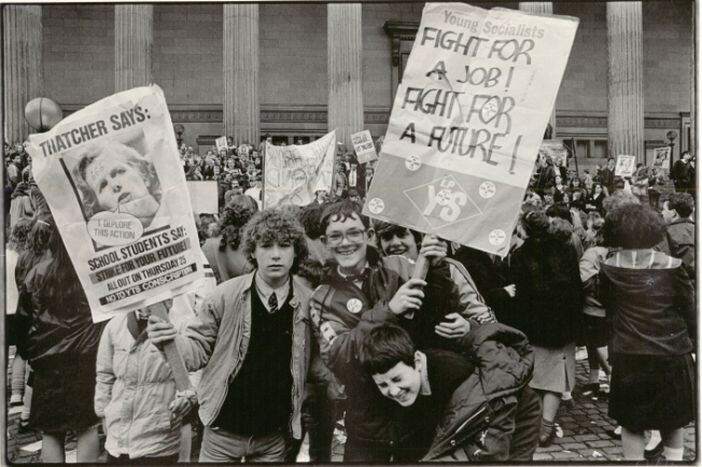 This June, Tanaka will bring together as many of the original participants and their children and march with them through the city from the St George’s Hall to the Pier Head, re-tracing the original route. Tanaka will be in the “children’s episode” as will Glasgow based performance artist Marvin Gaye Chetwynd. Nominated for the Turner Prize in 2012 under the name *Spartacus Chetwynd, she changed it to Marvin Gaye the following year. She will produce a film with and for children, inspired by 1936 musical, Betty Boop’s A Song A Day, and Bertolt Brecht’s satirical Threepenny Opera from 1928. 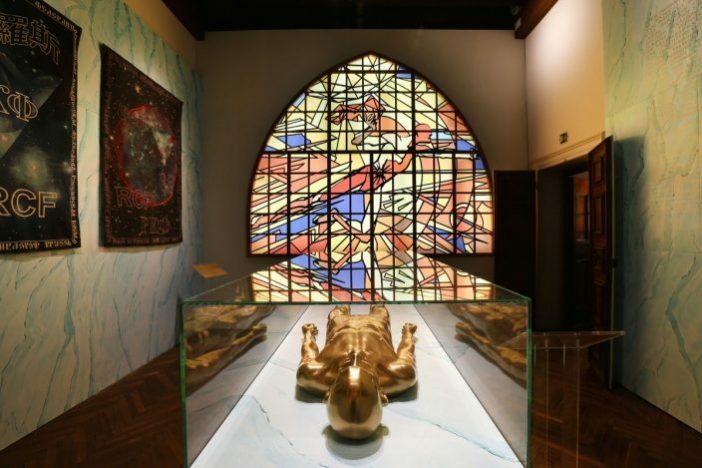 Arseny Zhilyaev has created Last Planet Parade, a work that includes stained glass windows in a terraced house in Granby Four Streets. Planet Parade is a Russian term used to describe the intensity of stars and planets in the night sky. For Liverpool Biennial, Zhilyaey re-imagines the pattern occurring on the last days of Earth. Turner prize-winning artist Mark Leckey will present a film called Dream English Kid, inspired by memories of seeing Joy Division in Eric’s Club on Mathew Street in 1979, aged 15. 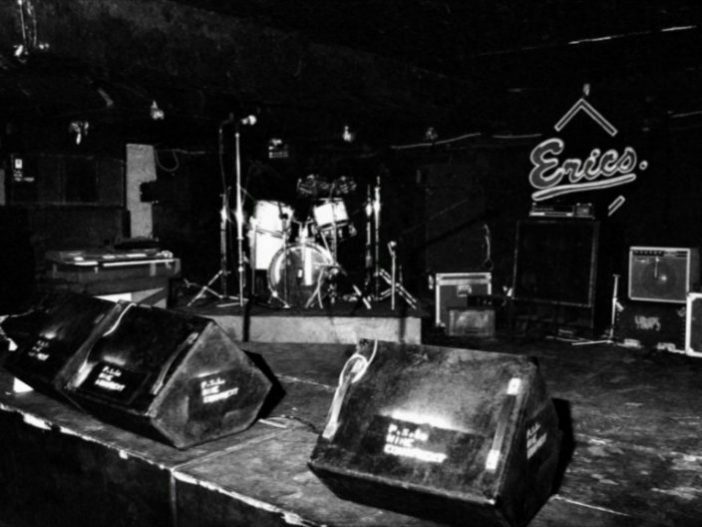 Eric’s Club, Liverpool. Photo courtesy of Mark Leckey and Cabinet London. Birkenhead born Leckey discovered an audio recording of the matinee gig on YouTube in more recent years, the memory of which led him to wonder if he could compile important memories from his life through film, television adverts and music found online. Dream English Kid will be shown in the Saw Mill, the former entrance to Cream. There will also be sculptures related to the film at the venue. Lara Favaretto will drain Clarence Dock in North Liverpool and place casts of Ancient Greek and Roman sculptures at the bottom of it, setting them in concrete. Throughout the run of the Biennial, the dock will very slowly refill with water. This new work is part of Favaretto’s Momentary Monuments series. Ramin and Rokni Haerizadeh, and Hesam Rahmanian have been commissioned to create a series of installations, performances, and sculptures for Liverpool Biennial 2016. They will use a diverse range of media – performance, installation, painting, sculpture – throughout the city, asking the question “What if?”. At Cains Brewery, they will create work on-site using ‘smuggled’ objects shipped to Liverpool from Dubai, where they live, by container. Hato are based between London and Hong Kong and have been commissioned to work with children from Childwall Sports & Science Academy to transform an Arriva double-decker bus into a functioning artwork for the next three years. It will contain coded messages from outer space for the future of Liverpool, to be interpreted by its citizens. This ‘space bus’ will pay homage to messages taken on board NASA’s Voyager spacecraft in 1977, which contained sound and images depicting life on Earth. Ana Jotta has also been commissioned to design one of the buses that will circulate in the city for the next three years. Lu Pingyuan has written a series of stories for the Liverpool Biennial 2016 book, blending mythology with speculative fiction. He imagines a large factory full of artificially produced workers who spend their entire time painting Van Gogh reproductions, a lake containing a portal from one part of the world to another, and an artist made from paper. 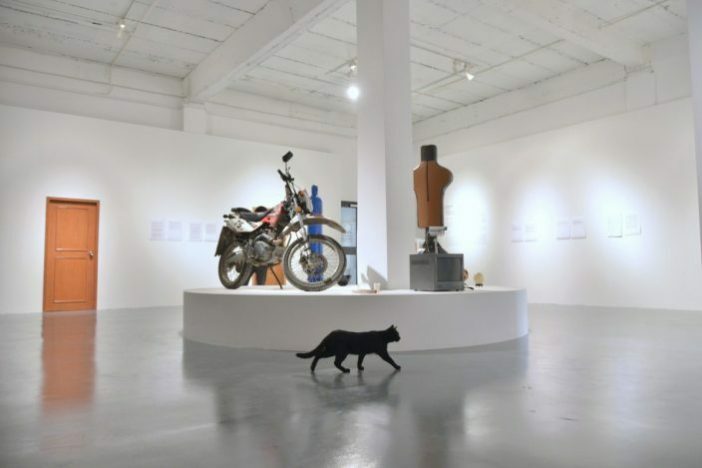 He will also be realising a number of projects that exist in Liverpool Biennial’s exhibition venues as well as in Manchester – the site of the Centre for Contemporary Chinese Art (CFCCA), this new commission’s partner. Liverpool Biennial will run from 9 July-16 October. More information here.